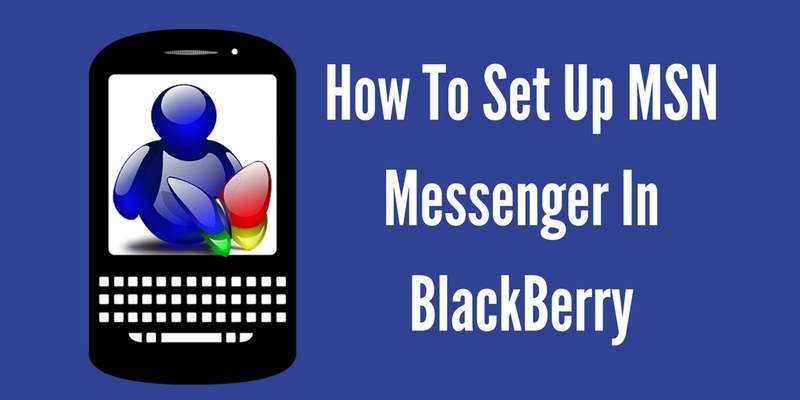 How To Login MSN Messenger In BlackBerry Phone? Do you have a MSN messenger in your BlackBerry phone? NO, then connect your MSN Messenger with your BlackBerry phone to access your various email accounts from anywhere and anyplace. Most of the users have no idea that how to login to MSN messenger. Are you one among those? Then read this blog very carefully and learn about the basic step by step procedure of login. Step 1:- First of all, you must need to download the MSN messenger in your BlackBerry phone. Step 2:- Open the BlackBerry App World on your BlackBerry hone to go to the app store. Step 3:- Now browse and search the MSN messenger app. For this, type MSN messenger into the search box and after finding, click on it. Step 4:- Now press the menu button and after that, click on View. Step 5:- After that, click on the Download option to download and install it on your BlackBerry phone. Step 6:- Now go to your phone’e home screen and then click on the MSN messenger icon. Step 7:- Now you have to seen the option of login and then enter your MSN email ID and password into the given field. Step 8:- After that, click on the Sign In icon to complete the process. Now you have been successfully login to your MSN account via messenger in BlackBerry phone.